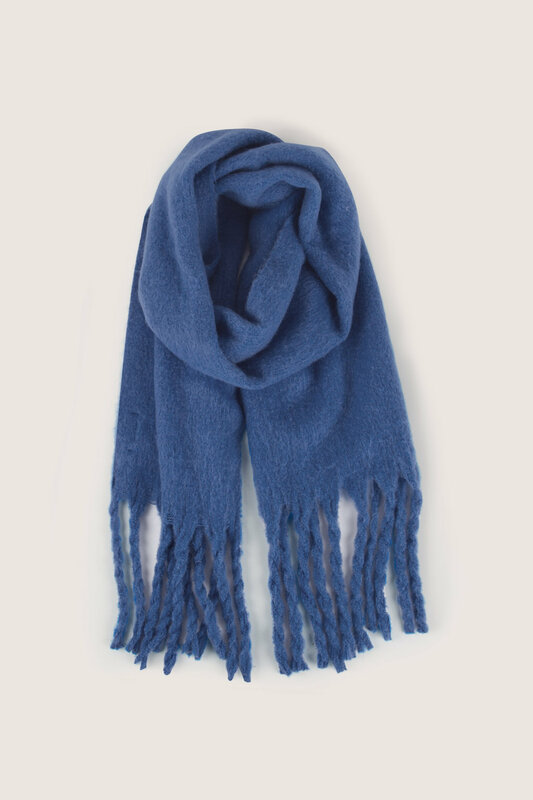 Wrap yourself up with this luxuriously soft and vibrant fringed scarf. 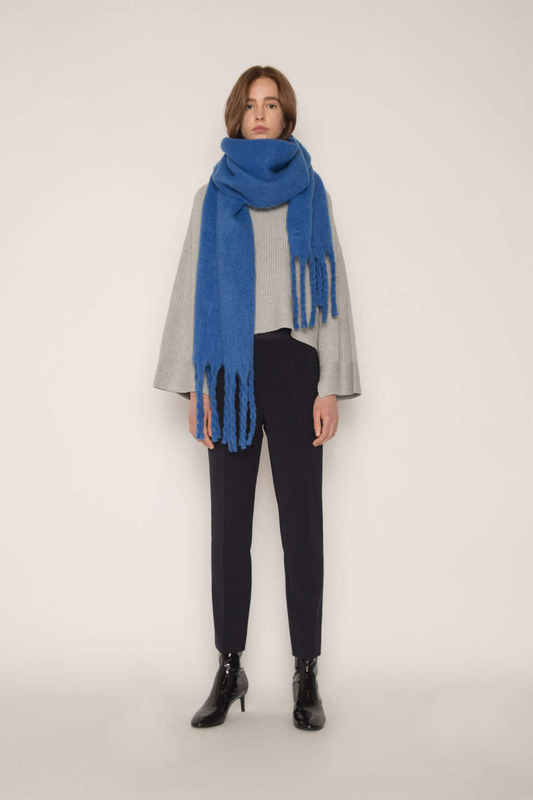 Made in a soft, thick and subtly textured knit, this scarf is the ultimate cozy piece for your wadrobe. 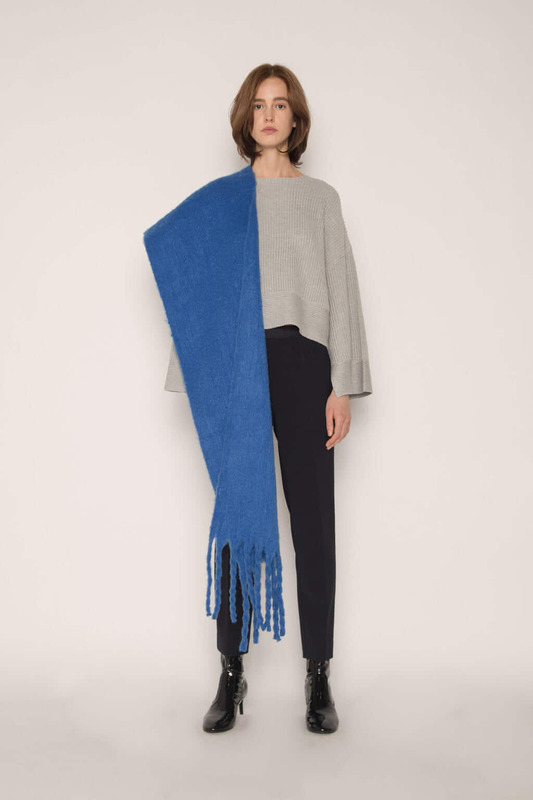 The beautiful royal blue colour adds a subtle pop of colour to any outfit and complements both neutral and colorful pieces. 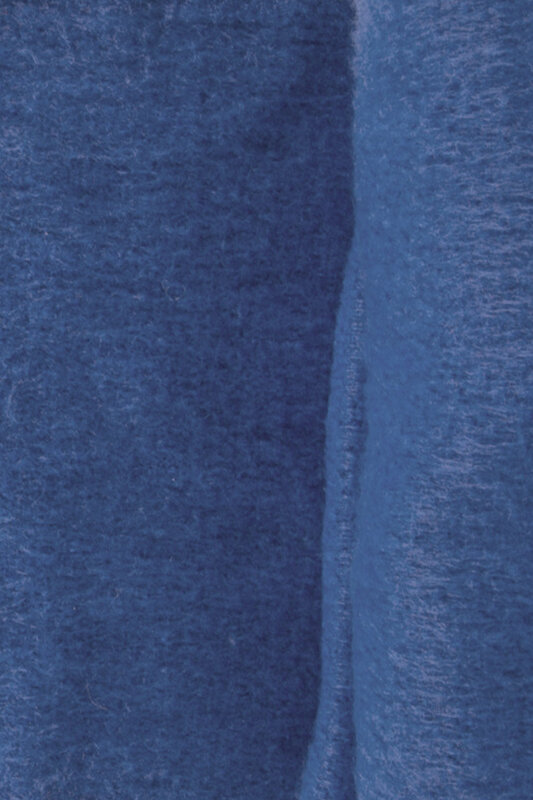 Care Instructions: Machine wash cold, lay flat to dry or dry clean.